This post is sponsored by Nulo™ and the BlogPawsTM Pet Influencer NetworkTM. I am being compensated to help share information about Nulo, but we only share information we feel is relevant to our readers. Nulo is not responsible for the content of this article. It’s important to get outside, get fresh air, and go for walks at all times of the year. However, there may be some days which are not optimal for outdoor activities such as lightning storms, wind storms, or bitterly cold wintry days. Living in Phoenix, for most of the summer the days are scaldingly hot. Doing much outside activity besides swimming becomes limited. However, there are many ways to entertain your dog with indoor activities and games. Our favorite one is treat dispensing toys. There are a variety of ones with flaps, blocks, movable parts, and ones that roll. We have a lot of toys and mix them up. They keep your dog’s mind sharp, engaged, and entertained. Some movable ones are the Buster Cube and The Odin. Kyjen also makes a lot of puzzle toys which have flaps your dog has to nose up, chambers which have to be pushed aside, and blocks that have to be pulled out to reveal the hidden food. Nina Ottosson’s toys are incredible too and have a variety of puzzles which range from beginner to advanced. One of the puzzles we have is the Dog Twister. It can be adjusted for easy by having no bones in the sides and made harder by putting bones in all the outside holes to prevent the covers from being pushed sideways. A simple homemade puzzle toy is using a muffin tin, hiding food in the pockets, and covering them with tennis balls. Then watch your pup figure out how to get the food. The great thing about indoor agility is you can make a fun course out of anything in the house-two stacked boxes with a broom stick handle in the middle for a jump, a couch to jump on as a table, and more. You’re only limited by your imagination. Or you can set up a real agility course with jumps, tunnels, and weaves if you have the equipment. FitPaws Pods, balance discs & boards work great for teaching your dog front and rear end awareness. Upturned buckets, cardboard, or an upside down dog bowl work well too for varied texture and for paw targeting. Many of the activities shown in the video can be done inside or out. There are also agility facilities which are enclosed where you can learn or rent the facility. Regardless of the weather outside, you can grab some treats and your pup and learn some tricks together. Tricks are a wonderful way to learn to communicate with your dog and a fun bonding activity. Teach shake, sit, down, crawl, leg weave, holding items, jumping through a hoop, pushing a shopping cart, riding a skateboard-the list is endless. As above, you are only limited by your imagination, ability to effectively and clearly communicate and understand your dog when learning tricks. While there’s more room to run outside, if your dog enjoys playing fetch, you can still play inside. Just keep the ball low to the ground when you throw it or do short throws. A toy that you can use as well is the ifetch ball machine. You can also play hide-and-seek teach your dog to find you. Start with them in a sit-stay and then go hide. Tell your dog to “Find!” and wait until they seek you out. Give them lots of praise and food. We do this quite often on walks and my pups love this game. A fun indoor game is learning scentwork with your dog. One way is to take your dog’s food and hide it around your room or the house. Then release your dog to find the hidden treasure. To start with, make the hiding spots relatively easy to find as your dog is learning and to encourage them to participate. As they get more experience, you can make the hiding spots harder. While you can use a variety of treats for the aforementioned activities, the easiest thing that we do is to use your dog’s normal kibble. As your dog learns to love learning and playing they will do so for even dry food. It is good to mix it up though and vary the treats and food to keep your dog engaged. Terra has been on Nulo™ dry food the past couple of months. Nulo is pet nutrition inspired by world class athletes. Nulo believes it’s important to not only stay physically active, but to pay attention to what you put into you and your pet’s body. We couldn’t agree more. America’s waistline seems to be expanding, and much of that is because of the food we eat. Even someone who exercised multiple times a week and chose to eat ‘health’ food actually gained weight which was showcased in the documentary “Fed Up.” Terra’s coat has become super shiny and soft while on the food. She has lost a little bit of weight and doesn’t seem as itchy overall either. She hasn’t had stinky gas, and her stools have been solid and compact. 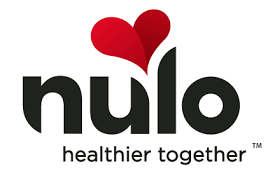 Nulo’s food is very high in protein, low glycemic, grain-free, and has priobiotics in the food which survive the cooking process. Nulo’s formulas provide an industry-leading, animal-based protein level that nourishes growth, repairs muscle and tissue, and enhances the flavor of every recipe. The recipes use fresh chicken, lamb and salmon and pairs them with yummy things like apples, carrots, lentils, and sweet potato. From seeing the difference in Terra, once we finish some of the dog food bags we have, I’ll be switching Kronos to Nulo as well for their main dietary staple. I make an important point to feed my dogs good food and watch their intake, and it’s time I make the same priority for myself too. Over the next few months I’ll be switching what I eat and cutting sugar out exponentially. I’ll update the progress occasionally on the blog as I notice differences. What an awesome read! You’ve described everything in such great detail. And I’m so excited to try some of these out with my pup! Hope he’s ready!